The CGF possesses state-of-the-art next generation sequencing equipment which employs massively parallel sequencing of small nucleic acid fragments to generate nearly complete coverage of whole genomes at greater than 99% accuracy. Unlike traditional Sanger sequencing, entire human genomes can be generated in less than two weeks. 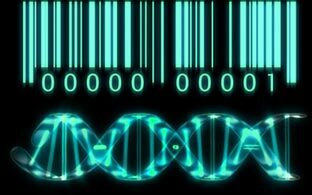 Exome and targeted resequencing, allowing scientists to capture or target only the regions of interest of the human genome and then use high-throughput sequencing to assess the genetic variation within the captured DNA fragments. Whole transcriptome analysis, allowing for conservation of strandedness of cDNA, allowing discernment between overlapping RNAs transcribed from the sense or antisense strand and multiplexing/sequencing of multiple RNA libraries simultaneously. Small RNA analysis, which is a hypothesis-neutral method, provides whole genome analysis of expression patterns enabling the discovery of novel RNA without the probe bias of microarrays. Chromatin immunoprecipitation sequencing (ChIP-SEQ). 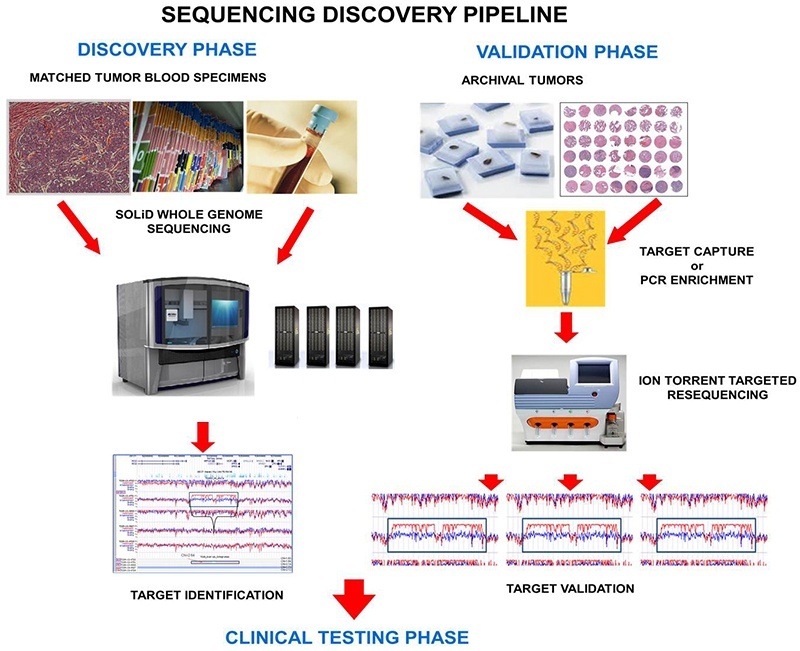 Sequencing of millions of ChIP-enriched DNA fragments using next generation sequencing technology enables cost-effective and precise analysis of the binding sites of transcription factors, replication and transcriptional machinery, structural proteins such as histones, as well as the impact of protein modifications on genome occupancy. The Ion Torrent Personal Genome Machine is geared towards high quality, longer reads, and fast turnaround time. 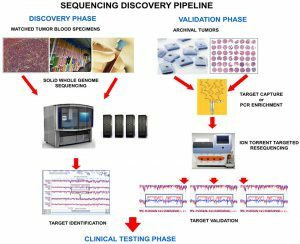 Specific applications include de novo viral and microbial sequencing and resequencing, as well as human scale amplicon resequencing. To find out more about the CGF sequencing capabilities or to design a study with the CGF, please contact Dr. William LaFramboise. Ion Torrent™ uses a new sequencing technology that brings the transformative power of the semiconductor to the life sciences. Ion Torrent™ Technology directly translates chemically encoded information (A, C, G, T) into digital information (0, 1) on a semiconductor chip. This approach marries simple chemistry to proprietary semiconductor technology – the result is a sequencing technology that is simpler, faster, more cost effective and scalable than any other technology available.